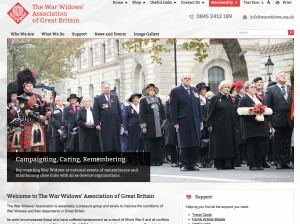 Vanilla Storm in Manchester has been working on a new website for the War Widows’ Association. “Our updated website adds a powerful new channel that will help create new ways to connect and interact with the more recently widowed,” said War Widows’ Association public relations officer, Mary Moreland. “She spoke about this over the years but never with bitterness. She was devastated to lose a husband and the father of her four children but she was also proud of his sacrifice.